Save $10 on your GA ticket when you purchase before Memorial Day! 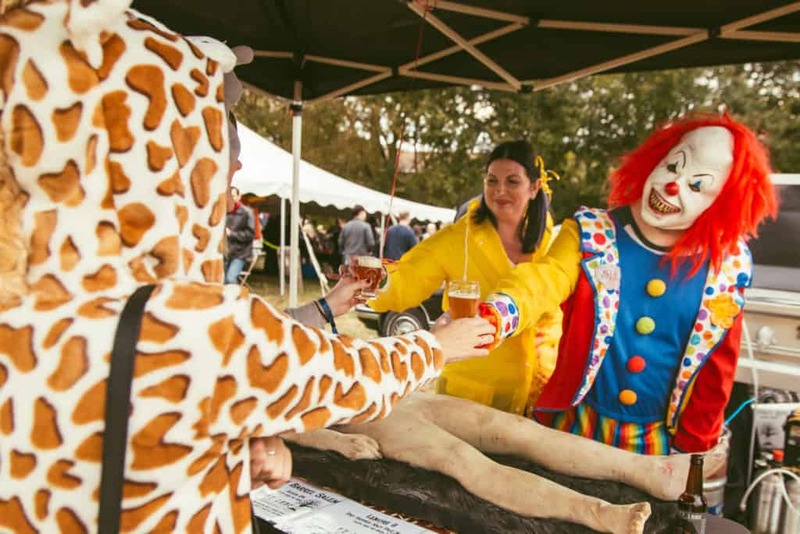 Join the nonprofit Brewers of Indiana Guild for its third annual fall fundraiser, Broad Ripple Beer Fest, on Saturday, October 12, 2019 from 2:00 – 6:00 p.m. at Optimist Park on Indy’s north side to sample from hundreds of beers brewed by 50+ Hoosier breweries and guests while trick-or-treating and enjoying local food, shopping, games, and more. New this year! Enjoy a variety of barrel-aged and harvest themed beers from each of the breweries. In addition to supporting the Guild’s mission, a portion of proceeds will be donated to our charity partners. See last year’s pics here, check out #BroadRippleBeerFest on Instagram and Twitter, RSVP on the official Facebook event page, and stay tuned for more info. Don’t miss Bloomington Craft Beer Festival (4/20), Columbus Craft Beer Fest (5/18), and Indiana Microbrewers Festival (7/27)!